Are you looking for a doctor or medical specialist near you? Do you want to make sure your doctor is recommended and getting good reviews by his patients? 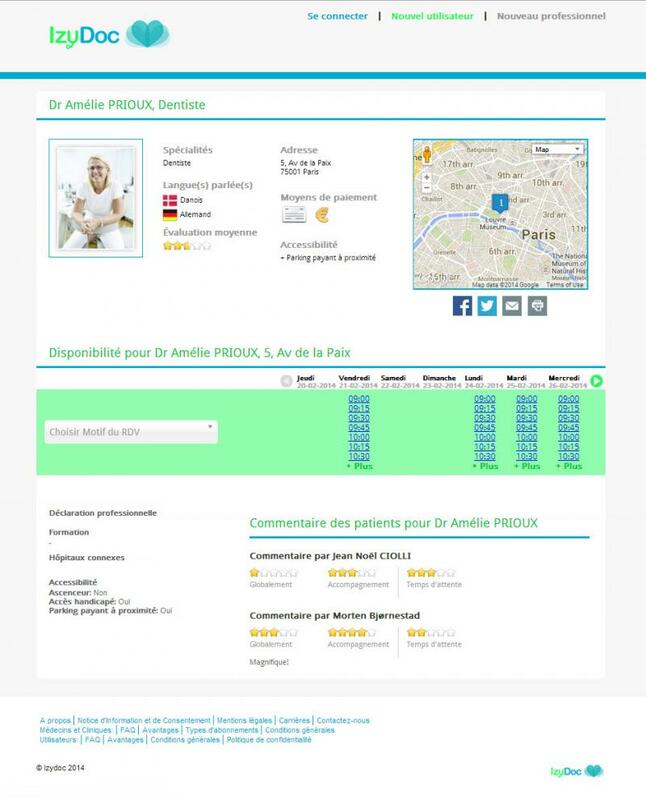 Or are you a tourist travelling France, in need of medical service that speaks your language? Then IzyDoc can help you! 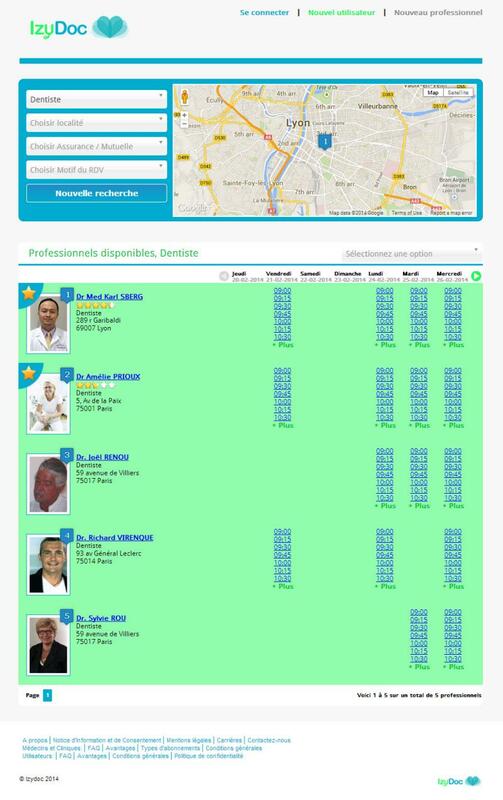 Izydoc helps the user to find and book a doctor, specialist or health practicioner online.